Defined by elegance and practicality, this cool sailing catamaran has rightly earned its status as the flagship of the Fountaine Pajot line. 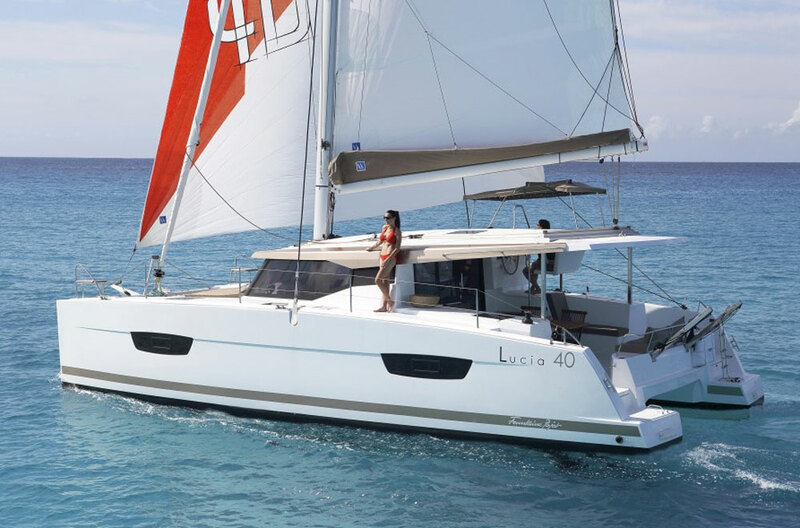 With their new flagship Sanya 57, which we captured on video at the Annapolis Sailboat Show, catamaran builder Fountaine Pajot clearly shows that they have a finger on the pulse of the evolving cruising sailboat market. Boating is no longer camping on the water and with the Sanya, you’re in for a hotel, nay, a resort-style experience—with the added benefit of being mobile, so far-flung destinations are as close as your aft swim steps. From bareboat family holidays to blue water passage-making, the Sanya is today, where the market is heading tomorrow. 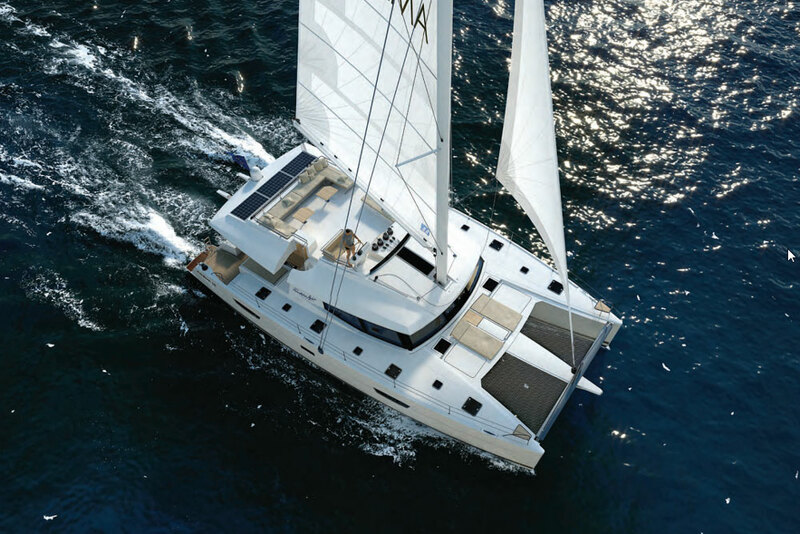 The newest Fountaine Pajot, the Sanya 57, provides more than a sailing catamaran platform; it's a mobile resort. 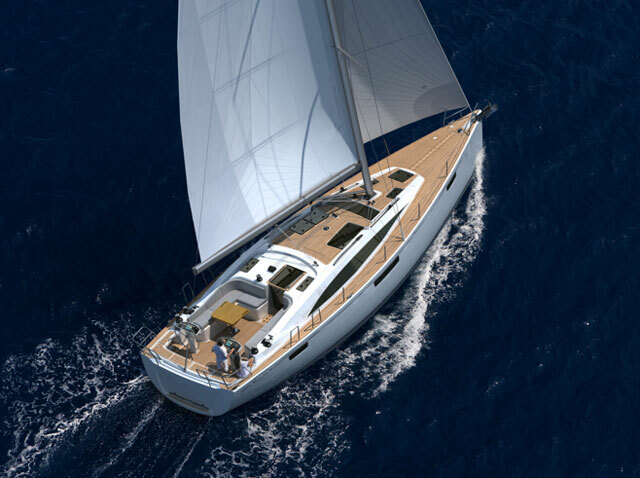 Designed in partnership with Berret-Racoupeau, the new Sanya 57 casts a sleek shadow. Her profile is low and not at all tiered like the wedding cake-style of some production multi-hulls. Below the waterline, her slick hulls have long fixed keels that provide protection for the props and rudders and can also be replaced individually in case of damage by grounding. The fore and aft sections of the hulls are lined heavily with foam to add buoyancy in case of a hull breach, and there are watertight bulkheads forward. The construction is a balsa-cored vacuum-infusion to keep the weight down and carrying capacity up. This new model replaces the Eleuthera 60 and in every way benefits from the 2,200 previous hulls that have been launched by Fountaine Pajot over the past 30 years. Come aboard either one of open transoms and ascend two steps to the main deck, which is completely covered by a hard targa top. This 20sq m space is the entertaining terrace complete with aft and port-side settees and a free-standing dining table that seats eight. To starboard is a wet bar with a sink, refrigerator and an optional barbeque. A fun touch is the double sun pad that extends aft between the hulls and forms a hard cover for the dinghy when it’s up on davits. This entire inviting space is completely dedicated to socializing, as there are no ship’s controls here at all. A pair of sunpads add social space to the Sanya 57; not one inch of use-able exterior space is overlooked. Four steps up to starboard is the helm station that is covered by a small Bimini for shelter but is low enough that it won’t be swept off the deck by the boom in case of a gybe. Multifunction and instrument displays provide all information necessary and the three electric winches manage all the lines aboard except for the headsail furling line, which is on the side. Although there is easily room for two at the helm, the set-up is really for single-handing so the captain can take care of all the lines on the boat including the port jib sheet. The guests won’t be far however, because right next to the helm on the hardtop is a full settee and another sunpad, perfect for sunny lounging or breezy sundowner cocktails. 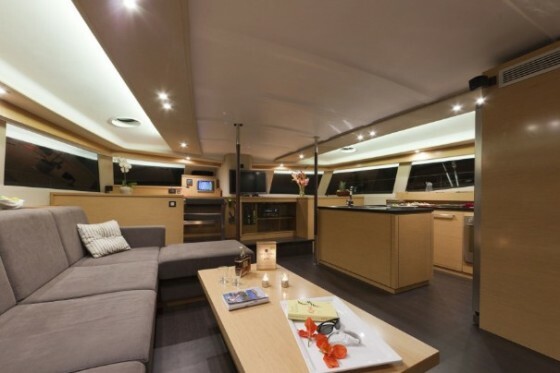 The shared spaces of the interior are on the same level as the fabulous teak-decked aft terrace so it’s easy to move between the galley and outdoor dining table or the nav station and the indoor settee. To port is an L-shaped settee with a low fixed coffee table, but a high dining table is also available. To starboard is the galley, an area so spacious and well-laid out that you’ll be tempted to call it a kitchen. There’s a full-sized double-door stainless steel refrigerator, large double sinks, and a stove and oven. There is also room for a microwave, a full sized dishwasher and enough counter space for a sous chef to assist. The galley Fountaine Pajot designed for the Sanya 57 is so extensive, we are tempted to call it a kitchen. Forward and to port is the nav desk with a pop-up plotter and radar display. In the center is a flat-screen TV which is a bit far from the settee, but is great for whoever is in the galley doing the cooking. The entire upper interior deck is surrounded by windows that bring the outdoors in, with lots of light and great vistas even when you’re seated. The stylish design and high quality finish evoke the feel of a small and contemporary boutique hotel. The Sanya 57 comes with six cabins and six heads for the charter version, or five staterooms plus a crew cabin whose head lacks a stall shower but can double as a day head for guests. In the six-cabin version there are dual staircases that lead down port and starboard to the private areas, so no one needs to walk through another cabin to get to their own. The owner’s five-cabin version has the master stateroom aft in the port hull, with a vanity desk and lots of stowage so there’s no need to pack light. 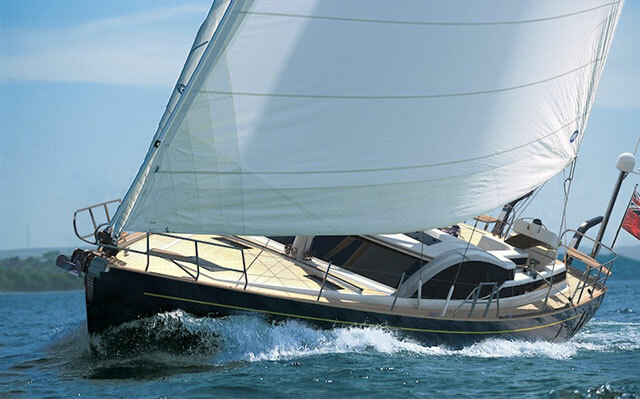 Whether under sail or power, the Sanya 57 has an extensive range. Have resort, will travel. 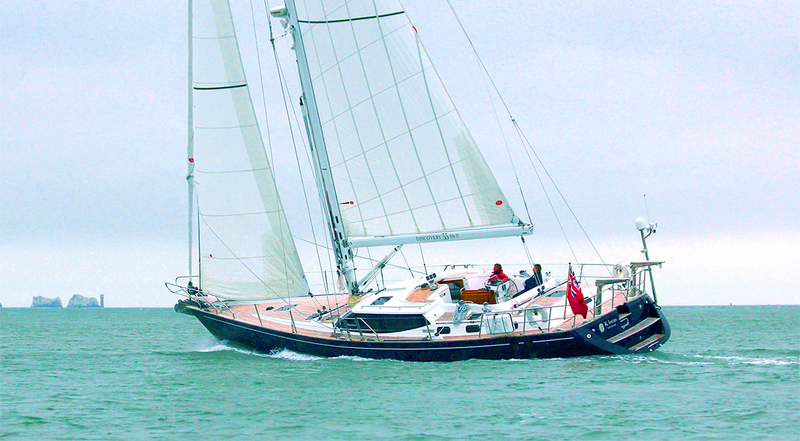 In order to accommodate walk-around beds athwartships, the Sanya has wide hulls. 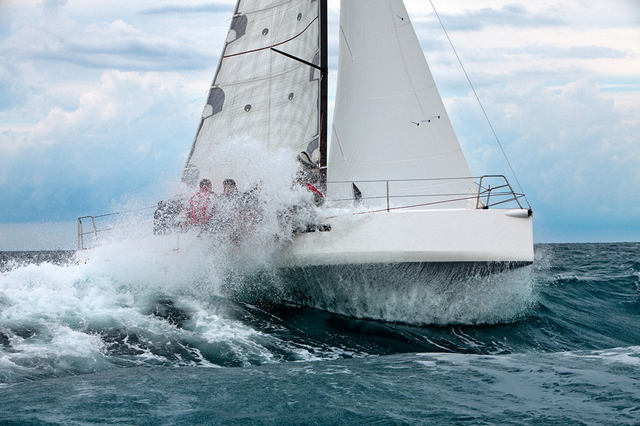 Her upwind performance, especially in rough seas, will be as expected – not too close to the wind and a bit bumpy. But off the wind, she’ll do eight to nine knots in 15-plus knots of true wind. 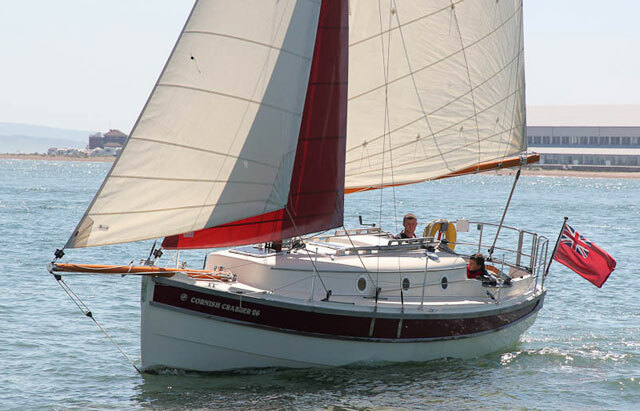 More importantly for a couple sailing short-handed, she’ll be upright and quite comfortable in 25 knots with a reef in the main and jib. The Sanya rig has two aft-swept spreaders and comes in two heights: charter and tall, the latter being 3.7m higher. Charter companies like to keep their boats a bit de-powered for safety but with the tall rig, she’s likely to do one to two knots better in the same wind conditions. The twin 75 hp diesels will push the boat at nine knots at 2200 rpm and with over 1,000 litres of fuel, the Sanya has a 1,500 nautical mile range under power—which means you can take your resort with you just about anywhere in the world. Onboard flow has been improving on cruising boats overall and on catamarans even more so. On the Sanya, getting around is intuitive and the layout is so subtle you hardly notice it, which is exactly as it should be. The understated elegance of contemporary living spaces and the richness of cherry veneers, leather, and stainless-steel accents creates an up-market experience. Bring in the convenience of a home-style kitchen of a galley, and the sum of what you get is an evolving standard for cruising vessels that couldn’t be farther from the old notion of cats as utilitarian Tupperware boats. Of course, the best part is that the Sanya 57 has already evolved – and is a few steps ahead of the crowd, setting expectations for all who come after. 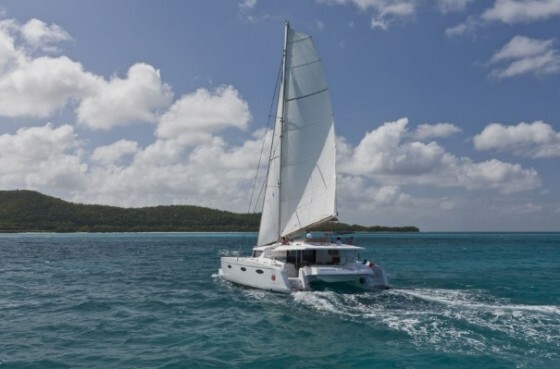 Other Choices: The Moorings 5800 is another sailing catamaran that’s designed to offer chartering options; the Beneteau Sense 55 is a monohull, but it’s a wide one which offers some of the advantages of a “monomaran”. 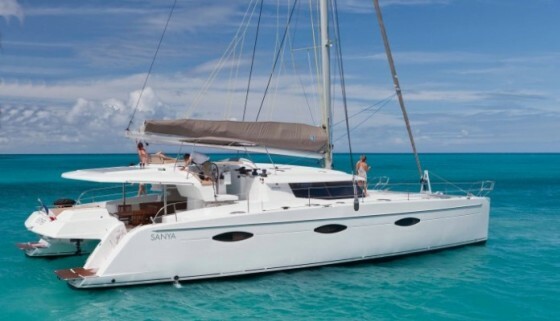 For more information, visit Fountaine Pajot.